Join us in changing the face of humanity. Start where you are ~ Peace begins with you! Has life lost its luster? open yourself to the idea that you can live a fulfilling life free of pain, sickness, killing, chaos, and thoughtlessness. Whether you want to develope your own sense of empathy or you want to pound the pavement and eduate the world, Henderson can enlighten you the many areas of your life and more. 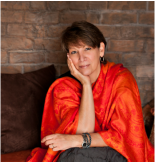 Nicole Myers Henderson is a Medical Intuitive & Health and Wellness consultant. She is known to many as a force of nature, an empath, medical remote viewer, intuitive, telepath and diagnostician. Nicole Myers Henderson ThM, is a Motivational Speaker on Environmental, Human and Animal Rights. 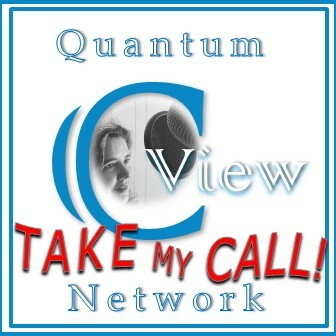 She is the founder of Earth Essence Inc, Speaking and Consulting on Intuition, Therapeutic Empathy & Telepathy, Medical and remedial remote viewing, Cellular Memory Detoxification Therapy and Emotional Freedom Therapy. As the published author of ON SACRED TIME Tapping the power within she teaches in ways that create peace and understanding while empowering you to conquer your inner and outer demons, to Evolve and learn to live as ONE. 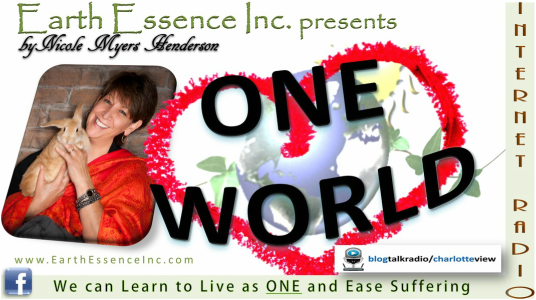 Join ONE WORLD the last friday of each month 1:00pm EST. 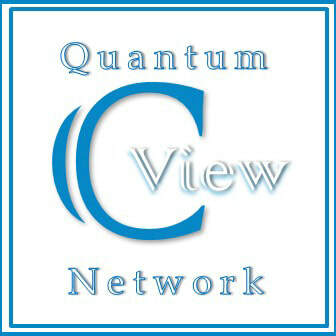 This compassionate, grounded intuitive and business minded professional educates on topics related to “Practicing Whole Body Medicine for Healthcare Professionals”, “Self Advocacy for Global Health”, “Performance & Motivation for Professional Athletes”, “Extraordinary Living for Veterans”, “Emotional Freedom Therapy for PTSD”, “Assessments & Evaluations for Business Owners”, “Medical & Remedial Remote Viewing ” and “Cellular Memory Therapy to Heal Your Life”.